Bahn mi, bao and bowls of bibimbap (oh my) – are just some of the offerings at EAT Chay (meaning vegan in Vietnamese). Their Asian-inspired plant-based dishes are a blessing to vegans after authentic flavours without having to worry about pesky fish oil. 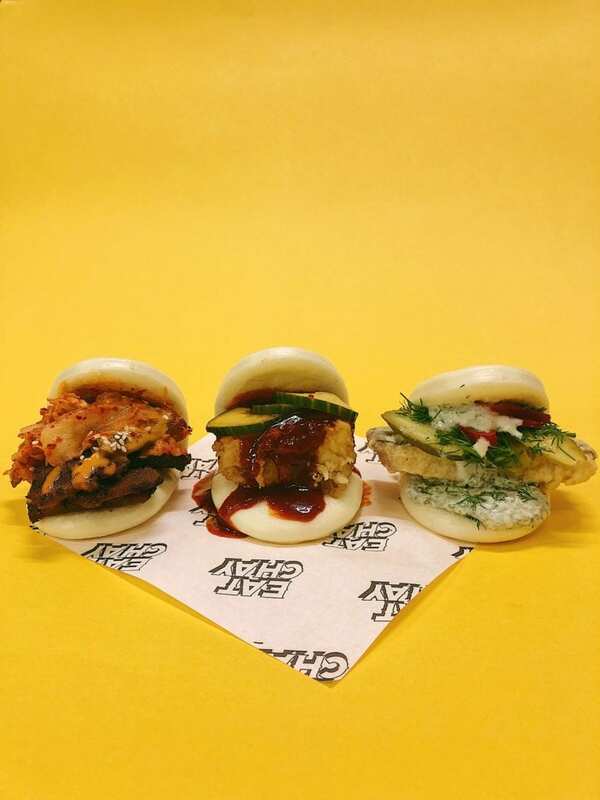 The bao buns, perfect for smaller appetites or as a snack, are available separately but if you’re highly indecisive like me, and enjoy giving your taste buds a run for their money then try a combo of buns. 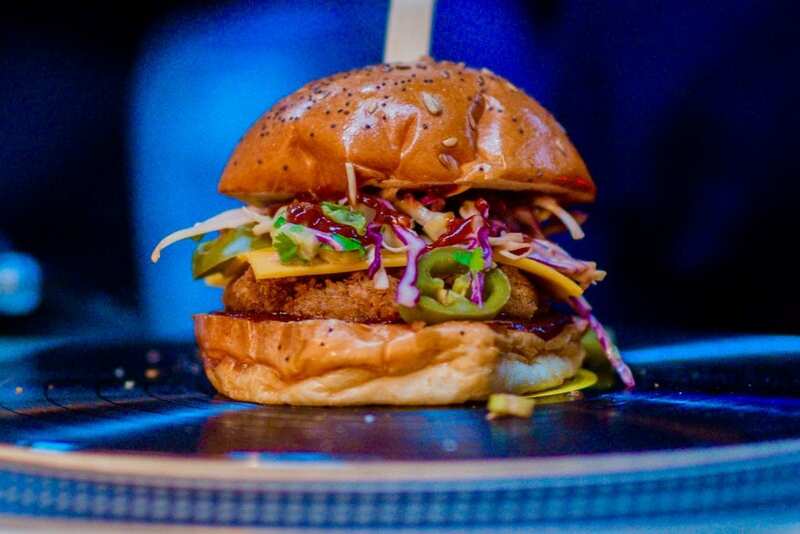 All three flavours are excellent, including the Korean fried tofu and Korean BBQ seitan with kimchi – but the absolute standout is the Fried F’sh with dill, gherkins, tartar sauce (and chillies in keeping with their Asian credentials). At the first bite alone my omni companion was completely bowled over and said it was the most realistic fake fish she’d ever eaten. I have never had the real deal but boy, was this delicious. 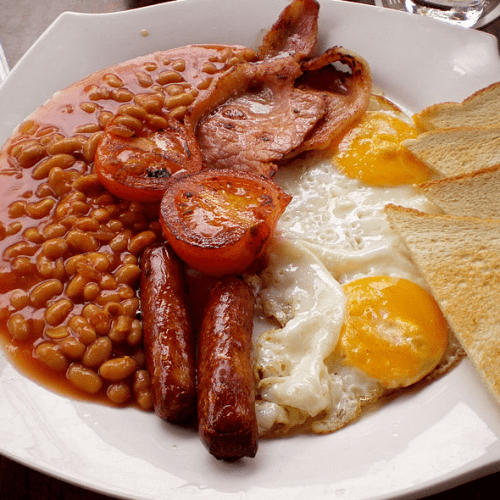 I will definitely be returning in the near future for the full sized F’sh and Chips. Don’t miss: the Chilli Lemongrass Soya Chick’n Bahn Mi – a balanced fusion of complex flavours, without any being too imposing, as can sometimes happen with lemongrass. Originally a pop-up, Biff’s has since found its first permanent site at Shoreditch Boxpark (they’ve also just opened another in Walthamstow). It first came onto my radar for its take on poutine (a Canadian classic of chips topped with cheese curds and gravy), which you can find here in its glorious veganified form. Since then, its range of ‘filthy af vegan food’ has had a few revisions but is still comfort food central. I spent far too long perusing the menu which includes burgers, fries and jackfruit wings, complete with a sugar cane ‘bone’, but beware before ordering as Biff’s aren’t ones to scrimp – there is a very strong risk of your eyes being bigger than your stomach here. The thoroughly British Biff and Chip Butty, a double-stacked triple entendre, is a cornucopia of chips, mushy peas and gravy over Biff’s ubiquitous jackfruit patty: as soon as it arrived, I abandoned any last remaining hope of graceful eating. Don’t miss: endearingly offbeat ‘bang bang’ fries or wings – topped with cinnamon, sweet chilli and miso mayo, toasted nuts, crispy shallots and coriander. Starting off as a small stall in Shoreditch but quickly gaining traction as the UK’s first, and still the best, vegan kebab shop, What the Pitta has revolutionised the game of whatever you can I eat, I can eat better and VEGAN. 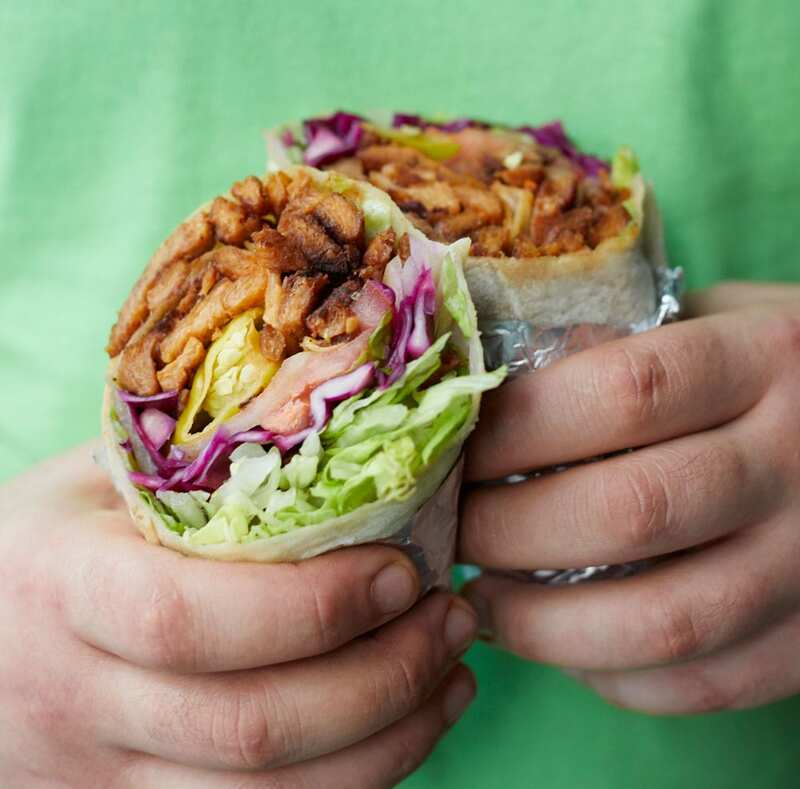 They have various meal deal options, including combos with meze-style salads and chips, but one thing is for certain, their signature Döner is not to be missed – a classic soya kebab with all the trimmings but none of the guilt. Everything from the bread to the sauces is freshly made on-site, including vegan tzatziki, mayo and hummus. 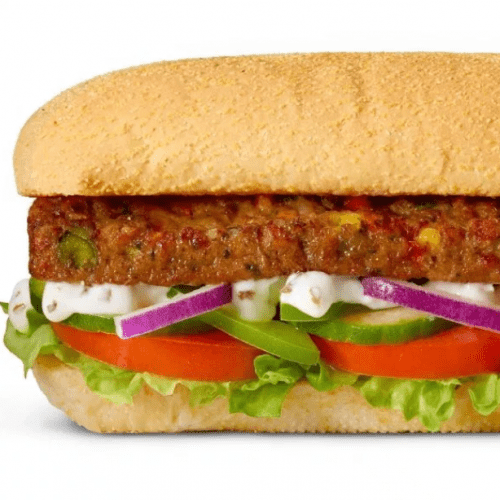 Struggling from fake meat overload? Worry not, homemade falafels are available too. What the pitta can also be found in Camden and Brighton. Don’t miss: the vegan Baklava, filled with almond pieces and syrup, this is the first baklava I’d had since going vegan and I didn’t realise how much I sorely missed it. 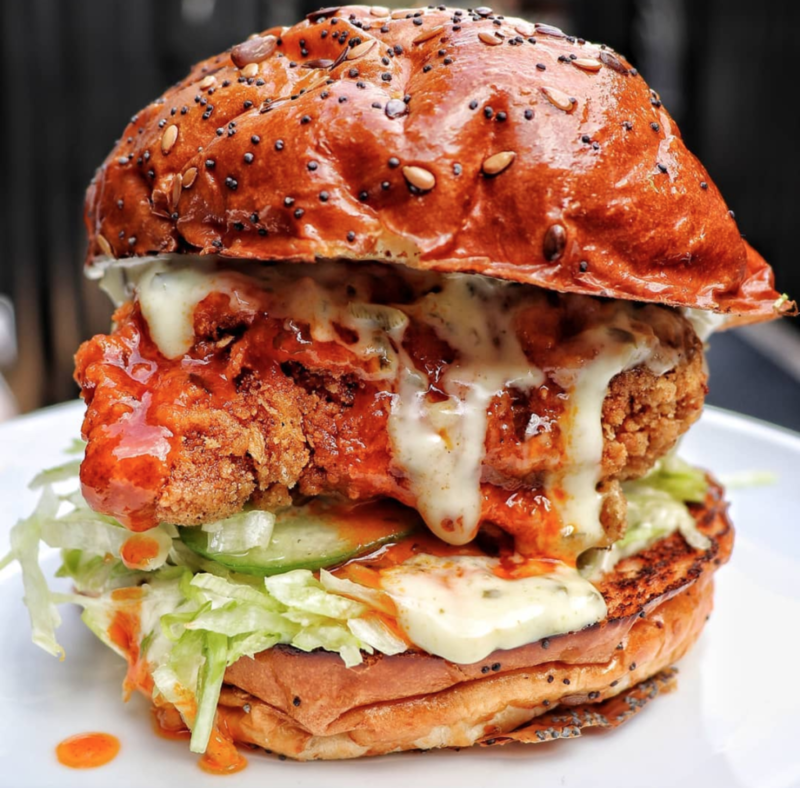 If you can handle entering a fried chicken shop their house made Vegan Burger with a soya chickn fillet, umeboshi buffalo sauce, candied jalapeno mayo and house pickles goes great with a side of smashed cucumber, dressed in chilli, rice wine vinegar and sesame oil.